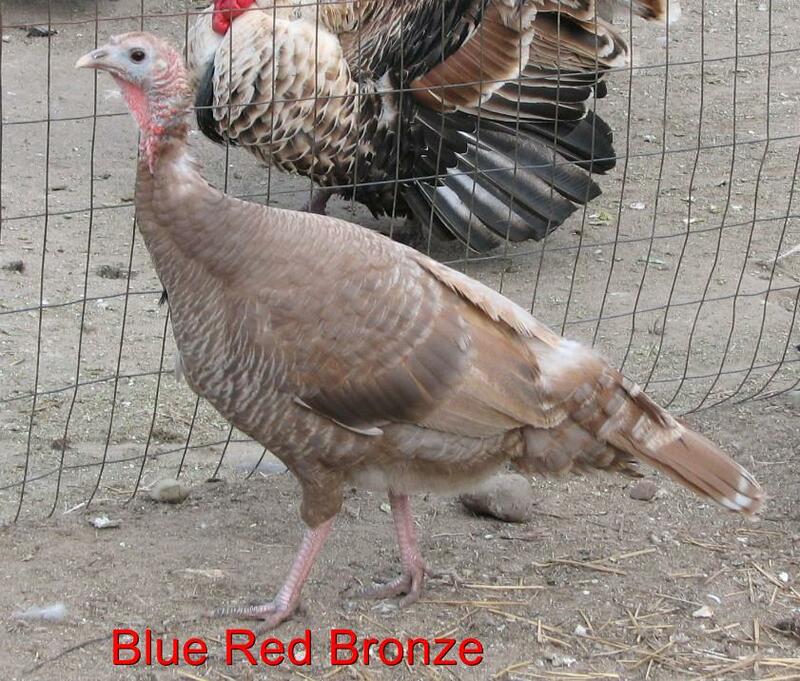 I have developed a strain of turkeys that we are calling "Blue Red Bronze" they are a much richer red color overall than any Lilac or Red Slate lines I've seen. They are bronze based with a single slate and red gene. Genotype (b+b+DdRr). 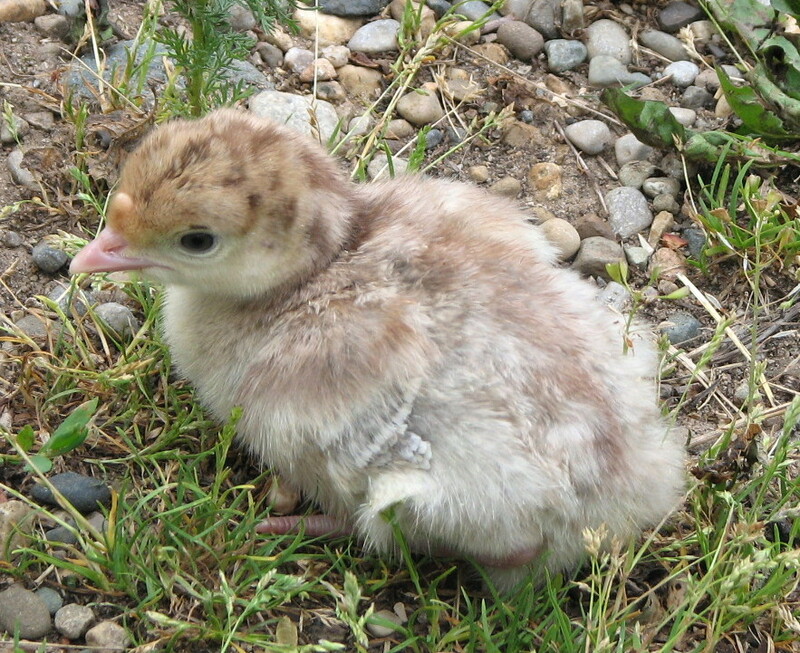 They have a rich solid red tail with thin blue barring throughout the length of the tail ending in a wide blue band with a creme tip,this color/pattern also extends into the smaller body feathers as well, while the wing feathers only have a slight barring pattern with a reddish coloration and just a hint of blue. Several results are possible when breeding these: Blue Red Bronze, Bourbon Red, Lilac, Slated Buff, Red Slate, Bronze and Red Bronze.